Neurodiversity in the workplace can be a gift. Yet only 15% of adults with an autism spectrum condition (ASC) are in full-time employment. This talk examines how the working environment can embrace autistic people in a positive way. Janine Booth highlights common challenges in the workplace for people with ASC, such as discrimination and lack of communication or the right kind of support from managers and colleagues, and provides strategies for changing them. Setting out practical, reasonable adjustments such as a quiet room or avoiding disruption to work schedules, this talk demonstrates how day to day changes in the workplace can make it more inclusive and productive for all employees. 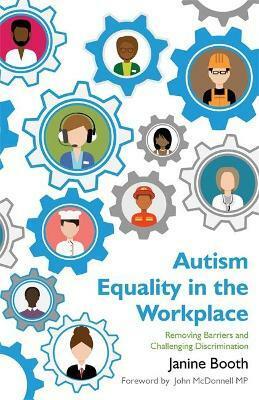 Autism in the Workplace is intended for any person with an interest in changing working culture to ensure equality for autistic people.The talk is suitable for employers, managers, trade unionists, people with ASCs and their workmates and supporters. As part of her disability campaigning, she particularly work on the issue of autism, including running training and giving presentations to trade unionists about autism in the workplace. She is the author of Autism Equality in the Workplace: removing barriers and challenging discrimination.